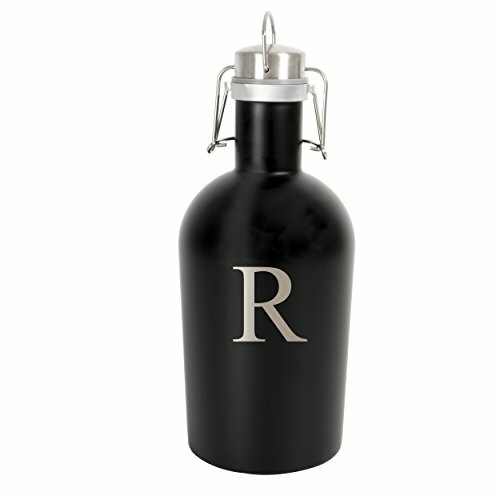 The Personalized Black Stainless Steel Growler holds a full 64 ounces of your favorite brew in a safe portable container. Constructed with stainless steel and finished with a sleek, matte finish, this beer growler features a swing-top lid for secure transport. Perfect for any beer lover, make sure their brew stays cold and inside its container. If you have any questions about this product by Cathy's Concepts, contact us by completing and submitting the form below. If you are looking for a specif part number, please include it with your message.